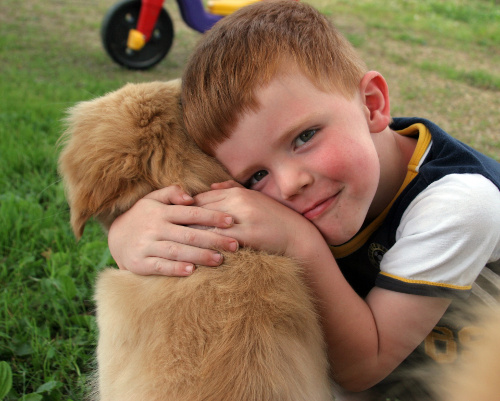 Positive puppy socialization experiences are so important if you want your little one to enjoy a lifetime of confident, friendly communication with the world around him. Fido needs to learn to see the world as a friendly place, and that the people and animals he shares it with as his friends. To make sure this happens, it's important to introduce him to as many new and different people, sights, sounds, smells and situations as possible... and as early as is safe and practical. 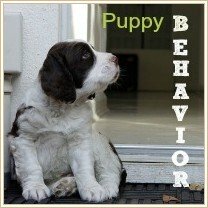 Puppy socialization helps build confident, friendly puppies who mature into well-behaved, calm and sociable dogs. 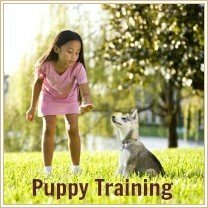 To help you learn how to get this important puppy training task right I've put together a list of the different kinds of people, places and objects to include in your regular daily routines and outings. It's a good idea to start your puppy socialization program by aiming to meet one new person two or three times a week. Dogs aren't very good at generalization, and your little guy won't necessarily recognize a very tall man with a hat as being of the same species as a short lady wearing a dress! Someone who looks different to the other people he is used to seeing, may be perceived as threatening or scary. An important part of socializing your puppy is getting him to feel comfortable in strange or unfamiliar surroundings. 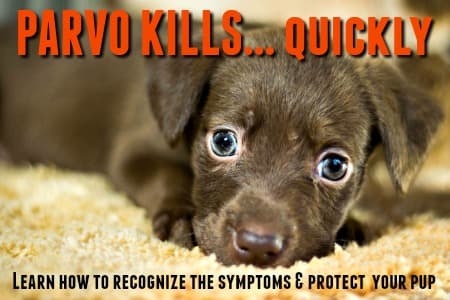 If Fido only ever spends time in your home or yard, a trip to Petsmart (or even to the veterinarian's office) can be scary for him. Try a daily walk to your local park, or your nearest dog park if your pup has a reliable recall (ie. 'comes' when called). You can even 'kill two birds with one stone', by sitting on the ground or on a bench near where children are playing. Feed Fido tasty treats while he watches the kids run and play, and hears their shouts and squeals. This will help him build positive feelings about being around children. If you have a dog-friendly beach near you, it can be a great addition to your list of outings. The feel of the water and sand (be careful when it's really hot though, as little Fido can easily burn the pads of his feet on hot sand) and the sound of the waves and seagulls, are all new and interesting to him. Try a short hike through your local woodlands, nature park or nature reserve. The sounds of the birds, twigs snapping and all the fascinating scents will keep Fido enthralled. You probably don't want to try a big football game, but a trip to the local youth soccer fields or baseball diamond is a great way to socialize your puppy. 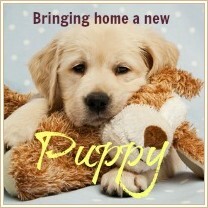 The talking, cheering, shouting and all the action on the field, provide a great opportunity for puppy socialization. There's not enough room here to list all the places you can visit when you're taking your puppy out-and-about, but the above list has a few good ideas to get you started. Also, use your imagination and make the most of your particular environment. 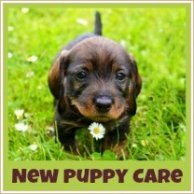 There are many things, or objects, that you should introduce your puppy to as an important part of his socialization experiences. Riding IN a car, truck or bus! Your puppy's socialization program is limited only by your imagination and environment. Have fun thinking of all the exciting things you can do with your puppy, and be sure to give her plenty of treats and praise whenever she reacts with confidence in a new situation, or when faced with new people or objects. Always take some clean water and a bowl when you're taking little Fido to the park, beach or wherever. Have a spare leash on hand, and be sure that he's wearing his ID tags too. Also have on hand a 'baggie and scooper' of some sort to clean up any little messes your pooch may make. Dog owners need to be responsible citizens and not leave any trash or 'poop' in public places. Non-dog-owning people (and other dog owners) don't want their environment spoiled by carelessness. If you own a guardian breed, or one subject to breed-specific-legislation it's important to remember that your dog is an ambassador for it's breed. A well mannered, well socialized dog with a responsible owner can do much to improve the public perception of individual dog breeds. Above all, I hope this checklist helps you to have fun with your puppy! 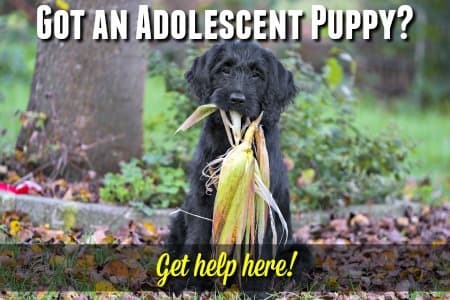 Socialization exercises are a great way to build and strengthen the relationship between you and your puppy, and your hard work will be rewarded when your pup matures into a confident, happy adult dog that you're proud to be seen with!